This quilt has a little bit of a backstory to it. After I "mastered" string quilts (sewing long strips of fabric together), I became bored with it and wanted to work on something more challenging. So I went with triangles. It wasn't so bad, mostly just time consuming. That may or may not be an artifact of my OCD ways. 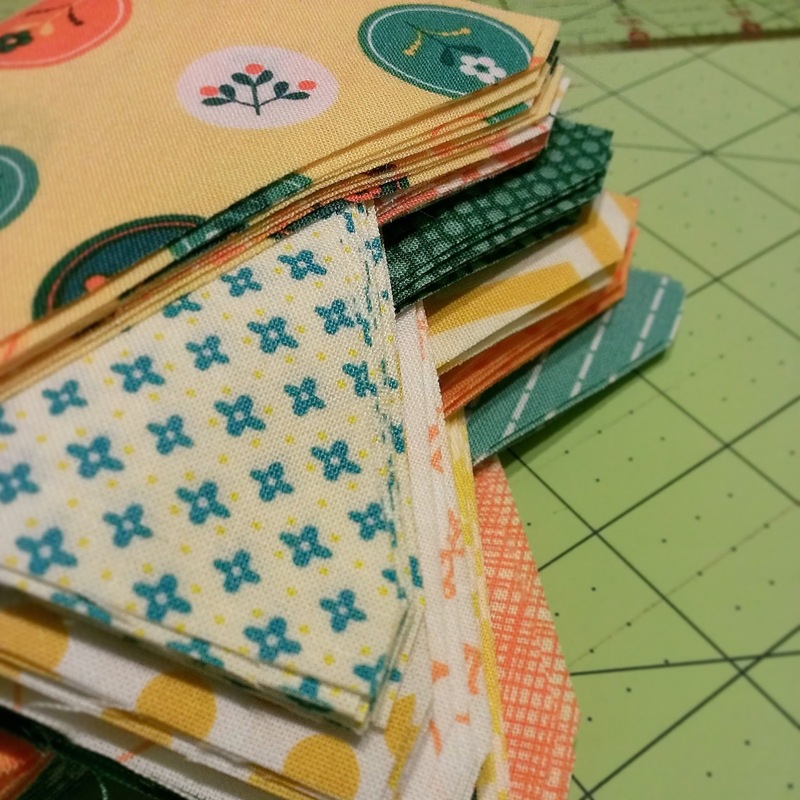 Some quilters will layer their fabrics and cut multiple triangles at a time (either by hand or with a fancy die cutter). I just can't do it. My ruler slides around and I end up with uneven cuts. 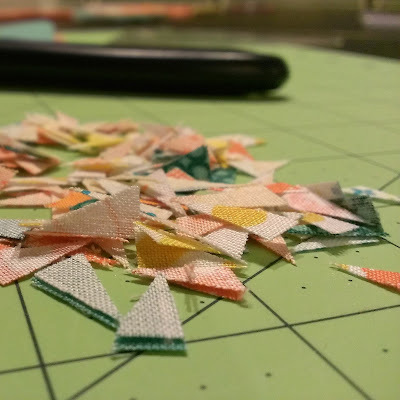 I'd rather take the time and just cut each edge individually to ensure all my pieces are even. Had to cut 100 more because I mathed wrong. 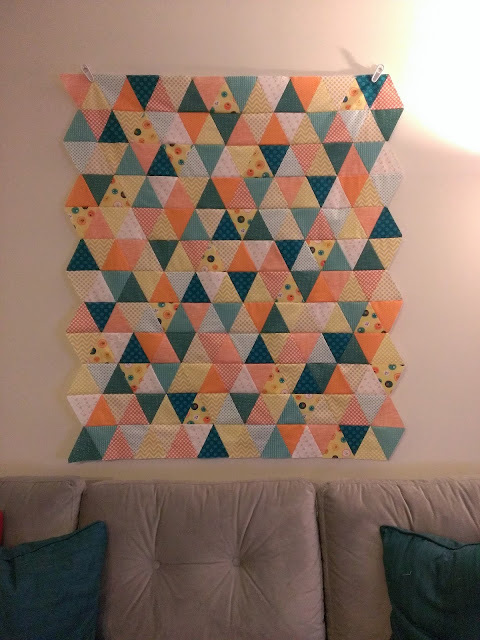 The finished quilt top had a short stint as wall decoration in our old apartment. At one point, friends from out of town commented on it. I made a mental note that they liked it. The top has since sat in my UFO (unfinished object) pile. I knew it wasn't a project that I wanted to donate, but wasn't quite sure where it would end up. Fast forward to recent times; our aforementioned friends announced their pregnancy (hooray!!) and I instantly thought about this quilt top. The colors are fun and bright without being too babyish and also gender neutral. Kismet! 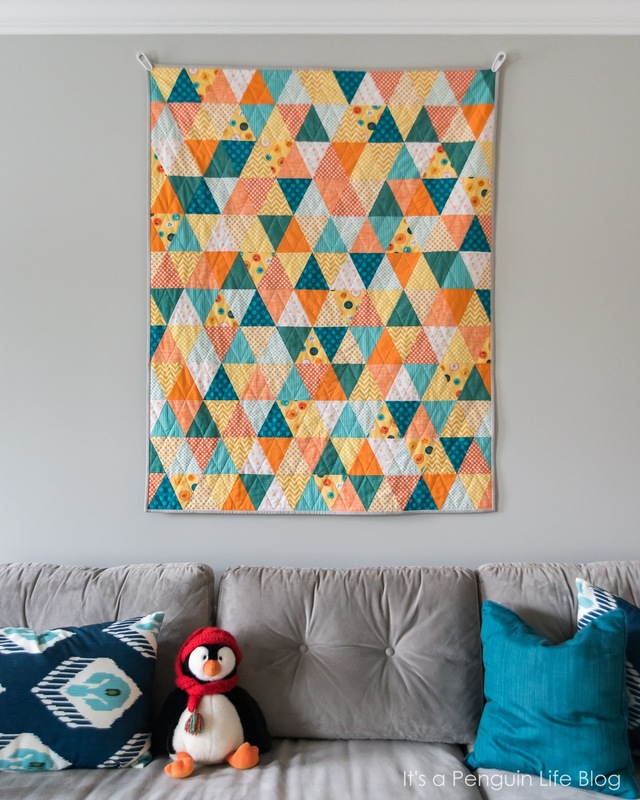 And just about the same time, one of the many fabric shops I follow on Instagram posted a photo of quite possibly the most perfect print that I could have dreamed of to make this quilt complete. 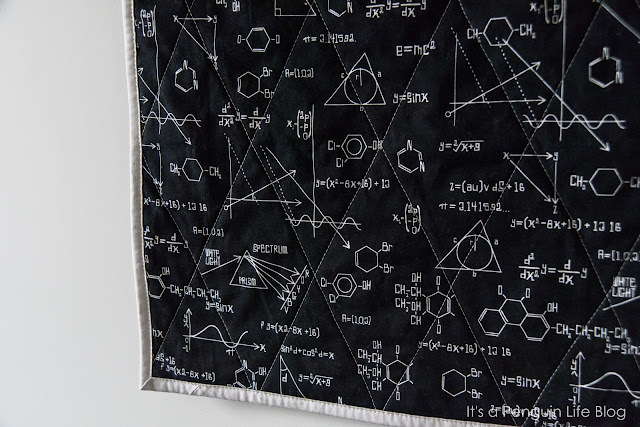 The print included math, physics, and chemistry equations/symbols/graphs. Call me a nerd all you want (I resemble one), but the parents to be are an engineer/scientist power house and I knew they'd appreciate it. 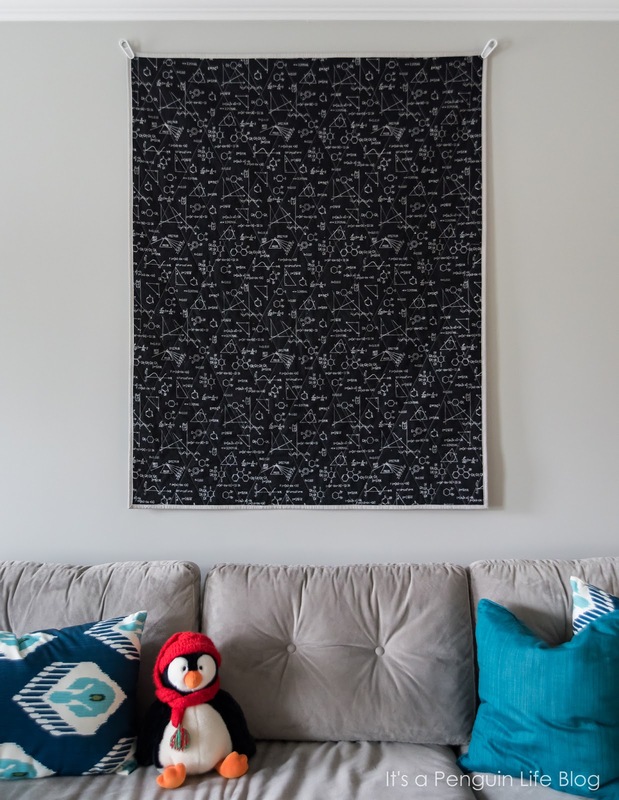 A fun, functional, and educational quilt? Check, check, and check! Ha,the binding is pretty much the same color as the paint on my walls. Close up of the back. I had to stop myself from buy an entire bolt of this print. I might have bought 8 yards of it when I found it to finish out the bolt where I was.